A few weeks ago, I wrote a story about Bridgeport Middle School student Kaylin Drake who is participating in the youth division of the Extreme Mustang Makeover. Until then, I had no idea that wild horses – tens of thousands of them - still roam the western U.S. In fact, there are so many that the land cannot sustain them and thousands are being collected by the government and placed in holding facilities; some adopted out to “horse whisperers” who combine their passion, patience and know-how to train them and introduce them to the world of civilization – and people. In talking with Kaylin, as well as Philippi’s Mike Hurst, who has successfully worked with three different U.S. Mustangs, I got a little insight about the passion these folks have for these animals. This week, I was privileged to hear from another. Her name is Kim Pierce. Kim has only lived in West Virginia for three years, but during that time, she has made some huge changes in her life. 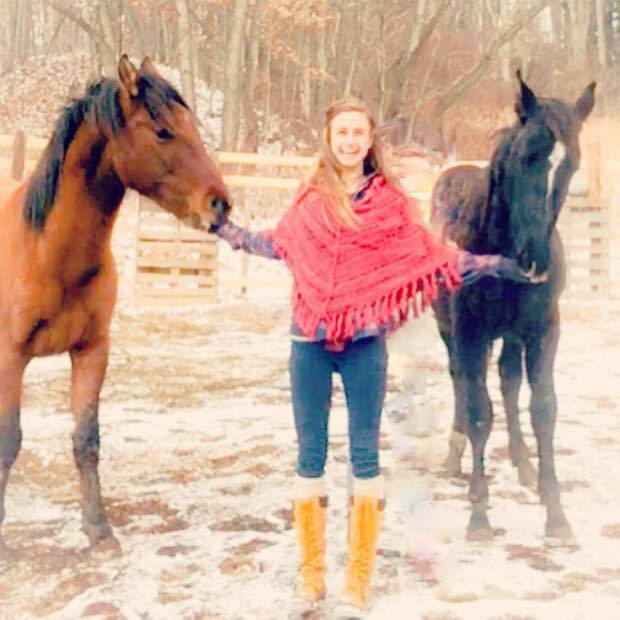 Included is the purchase of a 13-acre farm in Rivesville, which she is transforming into a mustang equestrian center. She currently shares it with Gomda and Degataga, which she drove to Nevada and rescued from one of the mustang holding facilities. Both Native American, the horses’ names mean “wind” and “standing together,” respectively. 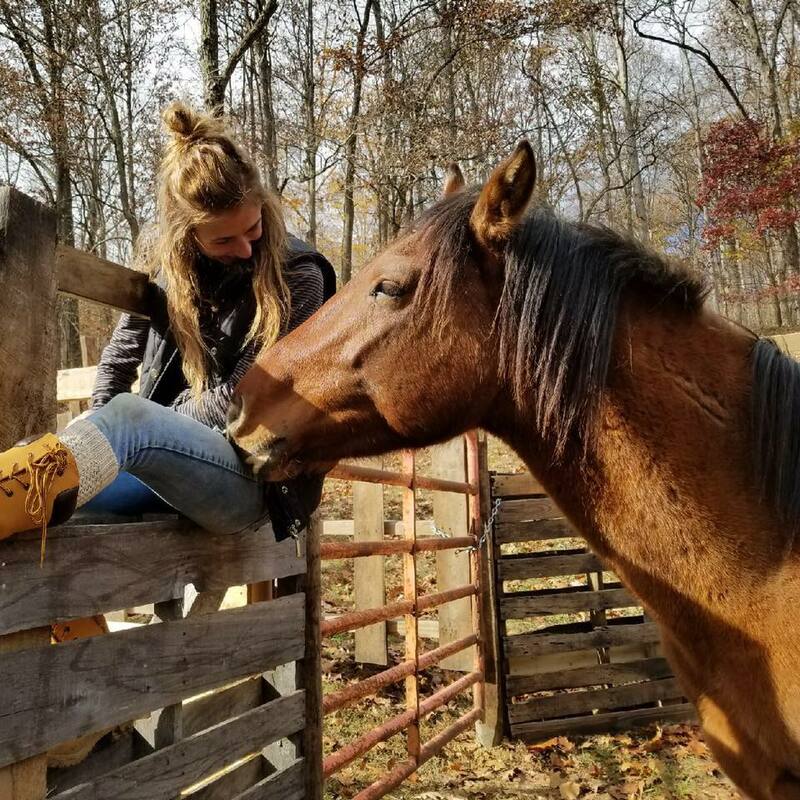 Since laying her eyes on these beauties and loading them into her horse trailer, Kim has been in love and committed to introducing these horses to the world beyond their former home on the range. Last week marked her three-month anniversary with her newfound best friends. She rises with the sun each morning, retreating to the stables to have coffee while Gomda and Degataga eat their breakfast. And many nights, she stretches out beside them, feeling their coats against her. “When you lay with a wild creature, you feel their energy so much. No words are needed,” she said. She literally has the mustangs eating out of her hand. She simply ate carrots in front of them and they continued to come closer and closer. She offered to share and they took her up on that offer. She utilizes the same mimicking technique in her 40-foot round pin. “I trot and they trot. I canter and they canter,” she said. 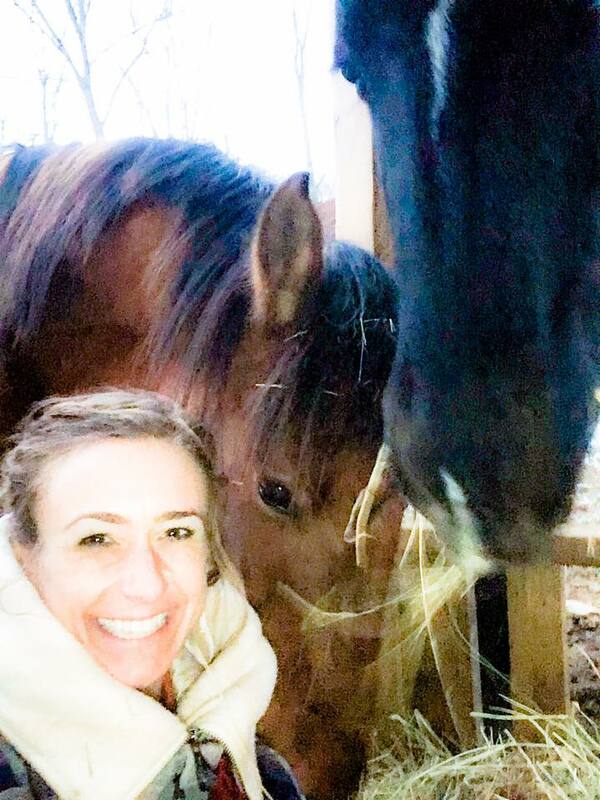 Though the horses are being introduced to so many new things, including human touch, Kim tries to create a home away from home; comparing in some respects, to their western digs. “I try to embrace my animals’ lives, giving them what feels natural – a fresh water creek where they can go have what they are used to getting while running the plains of Nevada,” she said. In a thriving environment, mustangs can – unlike domestic horses - continue to grow for six to seven years. Kim's equestrian center is a work in progress and she hopes locals will take her up on her offer to share the center - and discover their own passion for the wild horses of the west.